KINDNESS GOES A LONG WAY-EVEN AT THE GROCERY STORE. 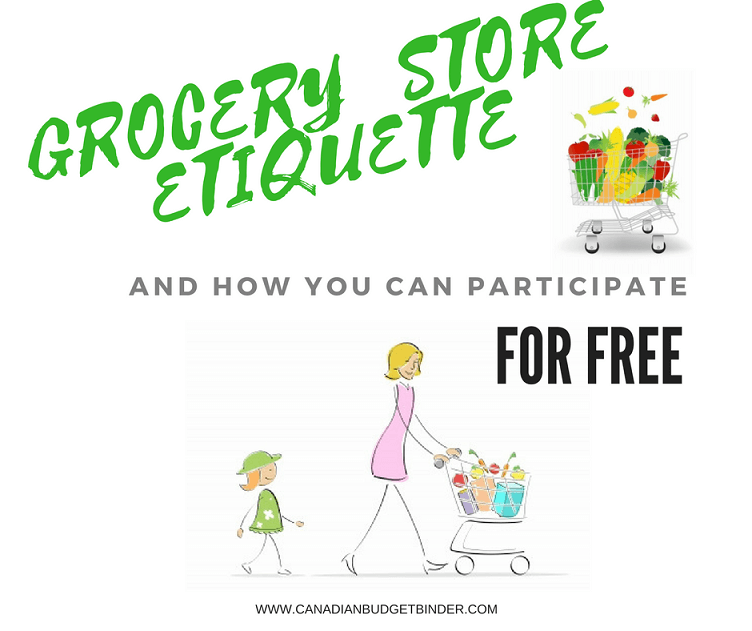 Over the past almost 6 years that I’ve blogged at CBB I’ve rattled on about grocery store etiquette because it needs to be said. Today I’m dedicating this post to the lady in the grocery line behind us last week and to those of you who need a crash course on how to be polite. Understanding the code of etiquette and following through are two different things. Both need to be in place in order for you to be a nice person and not a hard-nosed grocery shopper (in this instance). 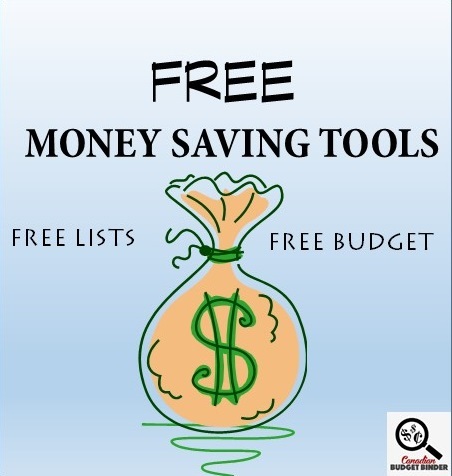 With the rising costs of living everyone (almost everyone) is trying to save money wherever they can. Our biggest financial fight after the mortgage was the grocery store and we’ve battled it ever since and documenting our journey on this blog. First off let’s explain what the word “etiquette” means for those of you that may not be familiar with it. Your mom and dad might have told you to “be nice” or “treat others as you’d like to be treated” growing up. Ring a bell? If not, this post is for you. is a code of behavior that delineates expectations for social behavior according to contemporary conventional norms within a society, social class, or group. I’m by far the nicest person even when I’m not in the mood to be nice. We all have bad days, good days and days we would rather just hide in a corner and be alone, and that’s fine. We are all entitled to feel emotions but how we handle them is what makes you a nice person or a “meanie pants” or how about “bully”. Yes… lady you were a bully behind us at the grocery store and I’m surprised that Mrs. CBB held her cool without killing you with kindness after the things you were saying. If you’ve never seen a human vape before we’ve personally experienced it. You may recall our amazing grocery shop last week at Zehrs where we met with 50% off stickers on products that we could not pass up. 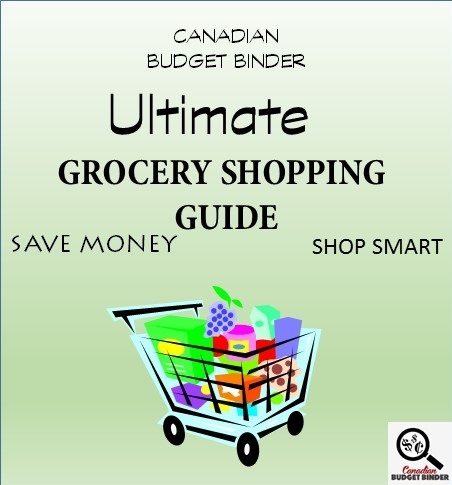 I know this is what we strive to eliminate or lessen from our grocery shopping ritual in the CBB house but sometimes rules are meant to be broken BUT we still have to abide by the grocery budget. After we had all of our super-duper deals loaded on the grocery store conveyor belt a lady pulled up her roadster behind us. It was clear with-in seconds that she was ready to bulldoze us with her anxiety to cash out fast because the undertone voice kicked in immediately. “I’m going to be here all day” while hands go in the air. “Don’t come here this she’s got tonnes of coupons” while talking to another grocery shopper looking to cash out. “Hurry up lady, gee” while staring at the cashier. This went on and on for about 5 minutes!! No kidding it was almost a television show waiting to happen. Maybe it was a grocery store prank and someone was going to come out and hand us an award for not losing our cool on her. What the heck was she thinking? I mean, who treats people like that, especially with a child in their presence? Mrs. CBB casually said to the cashier thanks for being such a great cashier and to have a wonderful rest of the day as she turned her eyes to the grocery store bully and smiled. That might have irked her more because I don’t think she was in ANY mood to smile. That’s NOT an excuse to be rude to people. I’m almost certain the cashier was waiting to get an earful as soon as we walked away and to be honest I don’t envy that part of customer service. I work with the public every day and although I’ve met with many emotions I’ve yet to meet one as petty as this. Don’t sweat the small stuff- Remember that book? This is the small stuff that the book talks about. We had 1 Coupon which was a Peelie on a product and that the cashier ripped off. Just 1. This was our shop and no we were not in the 1-16 items lane or the Fast Lane. Just a regular cashier especially with the amount of reduced product as it takes ages at the self-scanner. Thomas Cinnamon Bread $3.99 ugh! As you can see we picked up some smashing deals and there wasn’t anything in that shop that would hold up the customer. The cashier scans the bar code and the price comes up 50% off and away the product goes down to the employee bagging groceries. As cool as cucumbers Mrs. CBB and I did exactly what we always do but were distracted by this customer as she wouldn’t zip it. As we were walking out we noticed that one of the items on the receipt didn’t scan 50% off or the cashier was too overwhelmed by the bitterness that she missed it. We casually went to customer service to wait patiently as the employee was serving another customer who was struggling to get his lottery card sorted out. Once completed we had her fix our bill but only just in time to hear the roadster zoom by and say to whom she was with “Finally, I can’t stand people like that who can’t afford to shop and take forever with deals”. Oh ya, true story and NO I don’t think she saw us at customer service. Needless to say she shocked us BUT it didn’t ruin our day ONE BIT. The cashier although I’m not sure but kudos for her being so professional in the midst of this angry customer. How to be polite- You just do it! There is no course but let me talk about some ways customers can add a bit of grocery store etiquette to their daily dose of happiness. It’s one thing to teach our kids right from wrong and it’s another to teach an adult who should know better. If you have nothing nice to say then don’t say anything at all. Being pushy and rude not only makes you look silly but you wear an unhappy face along with it. I’ve already blogged about this>>> You can read about it here! You’re no better than anyone else. We’re all human, we’re all equal. Spread the love not the hate. Just because you think you know better just don’t unless the well-being of a child is in danger. When something doesn’t go your way or someone else might not be kind don’t hit them back with what they gave you. You’re better than that. Speak calmly to defuse the situation and let them know that you are listening and not duking it out. It might take a second to help someone get a product off the top shelf or to pick something up or call for help. Whatever the case may be that moment of kindness will stay with you for the rest of the day and forever. Not only that but the person you helped will be grateful. If a new cash opens up and the cashier asks for the next in line don’t rush over if that’s NOT you. Changing your mind about a purchase is normal and happens to almost every customer. Imagine if all customers were too lazy to put that product back what the store would look like. Get it right… put it back where you found it. If that’s not an option give it to an employee and explain. If you buy in bulk don’t forget to put that little tag on the product with the proper code number. This not only helps speed the checkout process along but helps the cashier. I know what it’s like to be behind a customer with a stack of coupons. We have been that customer too. Always be ready and organized with any deals or offers you need to alert your cashier with. This isn’t written in stone but if you can turn to the person behind you with a bag of milk and bread and let them go ahead I bet you’ll make them smile. 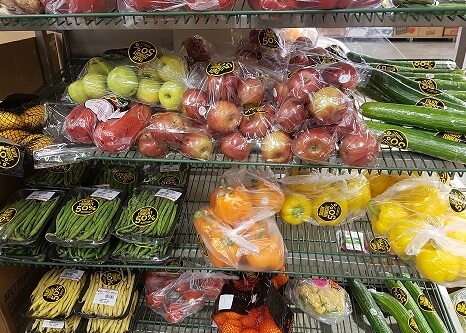 Not all grocery stores have self-scanners or limit lines. It’s not about you it’s about making this world a better place. Whether you broke it or not take a moment to alert staff that there may be a safety hazard. Not only are you preventing potential injury but you’re doing what all polite people do, help out. If your child is not in the shopping cart seat and is walking the grocery store with you and happens to rip open a box of granola bars, you’ve bought them. At least that’s the way it should be. Don’t put the box back on the shelf either. If you don’t have any intention to pay for it do the right thing and bring it to customer service or a staff member, apologize and let them know what happened. Parenting is up to you. Huge pet-peeve of mine is finding shopping carts all over the parking lots. 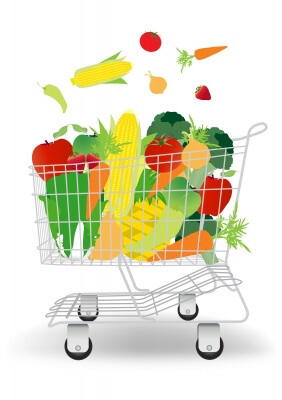 Most grocery stores in our area are doing away with paying for the shopping cart to shop with. We’ve already seen an increase of carts scattered waiting to be picked up. If you see a cart that may cause danger move it out-of-the-way even if you believe, “It’s not my job”. <<< It’s not about that. If you don’t know how read above. Your day will be much easier when you learn to smile or even just learn to be polite with anyone you meet. It’s a two-way street but if we don’t start then no one will meet in the middle. How many times have you seen someone eating fruit in the produce section or dipping their bare hands into the bulk bins? I have and plenty. There’s no excuse. If you want it, buy it but don’t eat it without paying for it first. There is no test and try availability at the grocery store unless it’s a free sample. For crying out loud PLEASE use the tongs. Enough said. If you don’t plan to pay for it then don’t open it. Easy, simple guideline. If you need to steal groceries ask yourself if it is worth getting caught? The answer is always NO. If you are struggling financially locate community organizations in your city that can help. Drop by the Food Bank and see what offerings they can give you. There are always options. For crying out loud please stop putting your personal garbage on the shelves. I’m tired of trying to reach for a product with coffee cups in the way or seeing wrappers on the shelves or floor. It’s not that hard to find a trash bin. Smarten up and stop being lazy. Waiting until you leave the store before you start arguing with your spouse/partner, kids or even relatives or friends in your presence is far better than becoming a YouTube sensation at the grocery store. Just because you lead a different food lifestyle then others doesn’t give you the right to judge what they have in their shopping cart. You don’t know their story and it’s none of your business. We’ve been in shopping cart accidents with people who are on their cell phones at the grocery store. Since technology is a big part of grocery shopping and deals many people will use their phones. This is fine but pull over to the side so you’re not pushing and looking at your phone. The same premise behind driving and using a phone applies here. Accidents happen but are avoidable. That’s my rant for the day and if you don’t think that being a kind person is a code that you should live by then I hope you too have a wonderful day. Kill ’em with kindness folks! Discussion Question: What else can we add to this list of grocery store etiquette that I’m forgetting? Post your comment below and I’ll add it to the post! This is a N0-Shop week for us as we are going away for a few days out of town and are stocked up for now. As mentioned we are stocked after all the great deals we found last week. It’s probably best we stay out of the grocery store anyways lol. We are heading out for a few days but with the new info about Mrs. CBB’s nanny and her deteriorating health we may be longer. Gosh, that was horrible. When I am behind someone that does really well with coupons, I always compliment them and give them a big “well done”! Then it inspires me to do better with my shopping and couponing. Yes it was especially with our son in tow. She was very rude. Great etiquette list, Mr. CBB! I’m always amazed at the way some people act at the supermarket, and how many don’t put the carts back…they even block the handicapped parking. There are two things I’d add to your list. The first is to be aware of who’s waiting while you’re looking at and potentially blocking a shelf or case. Every customer is entitled to read the labels before making a purchase or select the cut of meat they want, but if you’re blocking someone, either do it quickly or move aside and let them in. The second has to do with the self checkouts where you pack your items at the end of the belt (not immediately at the register). Wait for the previous customer to pack all their items before you start scanning yours. Otherwise, you end up mixing the orders, not to mention potentially crushing their fragile items with your larger purchases. There’s a gentleman that comes and visits our bookstore at the market, I’ve had a discussion about price matching, sales, and such. He said that he purposely shops at Zehrs and Sobeys for the exact reason that people can’t price match there. I told him that I need to save as much as possible so I price match my groceries. Keeping Mrs. CBB and family in my thoughts. Really? He’s either rich or …. well. you know. Not sure what my daughter use the sprinkles for…probably the next time she makes cookies or a cake. Sometimes I can get Habitant for .99 to 1.65. Yes Bo-De Sweets is a candy and cracker store. Went to pick up some Kool-aid for my daughter. We typically pick up different crackers which are not packaged the same way for a grocery store so can them up much cheaper. It’s like a dollar store for candy and crackers. I received the gcs on Thursday. They were handy for this week’s shop. Ah that makes sense. Sounds like a fun and tempting store to shop in haha!! Oh you’re welcome I’m glad they arrived. I’m always worried about sending more than $10. I try not to let poor etiquette wind me up- lifes too short to major on the minors- but it still does all too freuqently. I would add, once you have finished loading your shopping on the conveyor, place a separator (not sure if these have an official name) after your shopping and move forward to allow the person behind to start unloading. If you do not know what you are buying and are having a general wander around the store, be aware of other shoppers. Maybe more of a UK thing, but if you’re wandering up the middle of an aisle, people can’t get past. Similarly, if you see Mavis from the Womens Institute, don’t stand discussing the latest Victoria sandwich competition results with both of your trolleys blocking key items. Move out of the way if you can see multiple people trying to peer and reach around you. I went a little hog wild with my shopping last week & with only $1.87 left in the kitty…it’s time for me to stay out of the stores! This has to be a NO SHOP WEEK but we will use the Entertainment Budget for a Mother’s Day brunch with my MIL this weekend and of course to re-stock our Spicy Green Beans supply from The Neighborhood Noodle House in North Vancouver. I am crazy for those beans! Haha… crazy about them beans. What are so special about them? The beans are spicy, spicy, spicy! What do they use to spicy them up with? Smoking Hot Red Thai Chili Peppers! Mr CBB, your ballot numbering is off again…I had ballot #1 last week. I should be ballot #4 this week and Della would be #5. Ugh, that’s what I have written then I crossed it out thinking that I had already written it in. I’ll go fix that now. Thanks Mary.